Since ‘A Rush Of Blood To The Head’, there have been very obvious changes to Coldplay’s life. There’s the Hollywood star wife, the baby, Chris Martin emerging as a surprisingly effective anti-paparazzi punch-thrower. But equally as telling are the similarities between life around the recording of that one and of ‘X&Y’. Again, exhausted after a relentless, punishing tour, Coldplay had to sit down and decide if they still wanted to be a band. Having sold more than anyone ever dreamed, broken bigger in America than thought possible for a British band, they decided to retreat and come up with something even more mighty than before – to reinvent the wheel, as Chris Martin must now regret saying. Well, there are no tracks on ‘X&Y’ as immediate as ‘The Scientist’ or ‘In My Place’ or ‘Yellow’. It takes time to seep in and get to you. But then – and its easy to forget – ‘A Rush Of Blood…’wasn’t immediate either. Those songs might feel like part of the fabric now and that record might have opened with the slam-dunk of ‘Politik’ but it was an album that took a lot of listens. Here, ‘Square One’ picks up where ‘Politik’ left off. It’s Coldplay doing Radiohead, hoking round the studio for new sounds and shapes. It starts quietly before Chris chimes in with that broken glass voice, now as identifiable as any in music, and Johnny Buckland works through The Edge’s collection of effects pedals. 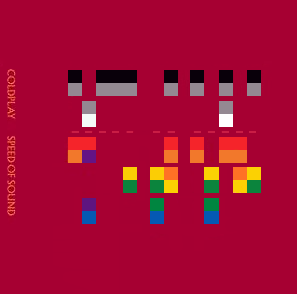 It’s about cracking puzzles and codes, solving riddles – a recurring Coldplay obsession. 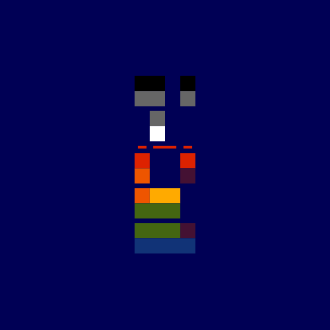 It’s about this record – once you get it, it makes perfect sense – and its about Chris Martin. Lucky for Coldplay and for us he remains riddled with self-doubt. He also remains absolutely intangible. The more he says and the more that is revealed about him, the less sense he makes. There were stories about Martin putting in 18-hour days to get this record right. There were stories at the same time about problems at home and much of this album could easily by read as an open letter to his wife. ‘What If’, with its cry of ‘What if you don’t want me there by your side/What if you don’t want me there in the light’ is, on the face of it, a simple message to Gwyneth Paltrow. The gentle, pulsing big ballad backing does little to change the idea. But that’s too obvious and too trite for Martin. It’s no leap to see it as a message to fans. Martin, ever the pessimist, is unsure if he has pushed things too far, if Coldplay have been front and centre too long and if he might lose the muse and never write another word or note of worth. This nagging doubt is at the core of ‘X&Y’. It’s a record about how we end up with the perfect one and the fear of keeping that intangible light burning. It’s also about a bunch of middle class boys lucking out, creating alchemy and becoming the biggest band of their generation while still scared shitless they’ll end up working in a call centre. It’s a brilliant record of paranoia. Oasis third album was an overblown opus to the excesses of cocaine and the good-life. Radiohead’s was a claustrophobic, intense look at the end of the world. 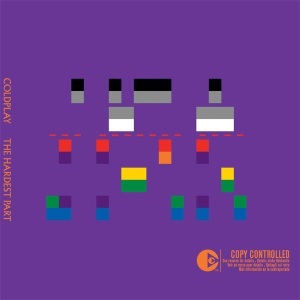 Coldplay’s is about love and fear. When ‘Fix You’ kicks in, which NME will concede must be about Paltrow (‘Tears stream down your face/When you lose something you can’t replace… and I will fix you’), it’s an old-fashioned hair on the neck moment. It’s a wonderful song that shifts from simple stark piano and voice to a ringing, clattering burst of intent and proto-prog four-part harmony. It will become a massive live track. 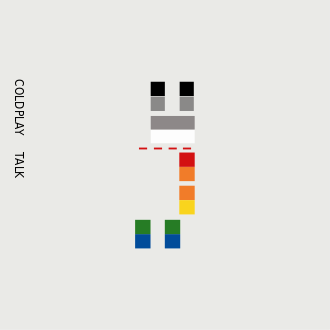 Elsewhere, you don’t have to dig too deep to find the influences Coldplay have mined. There’s the Kraftwerk lift (from ‘Computer Love’) on ‘Talk’, a nod to Prince’s ‘When Doves Cry’ on ‘White Shadows’, some Lennon-driven Beatles rocking through on ‘A Message’ and Echo & The Bunnymen here and there. They even sneak in ‘Til Kingdom Come’, the song they wrote for Johnny Cash that he never got to record, as a simple acoustic secret track. But it is U2, now Coldplay’s natural peers, who loom largest of all. Their shadow falls on every note, in the complete confidence the band have playing together– and Buckland is not backward about emulating The Edge on half a dozen tracks. 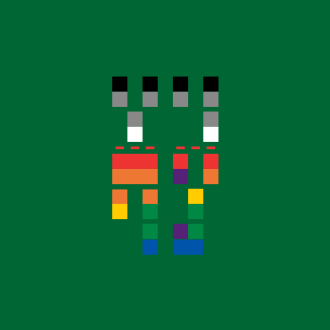 Confident, bold, ambitious, bunged with singles and impossible to contain, ‘X&Y’ doesn’t reinvent the wheel but it does reinforce Coldplay as the band of their time. The MD of Parlophone and his shareholders can sleep easy. This is a great, great record that has just raised the bar for everyone. That’s probably of little consequence for Chris Martin. The worries for our great self-doubting hero about how to better it start now.